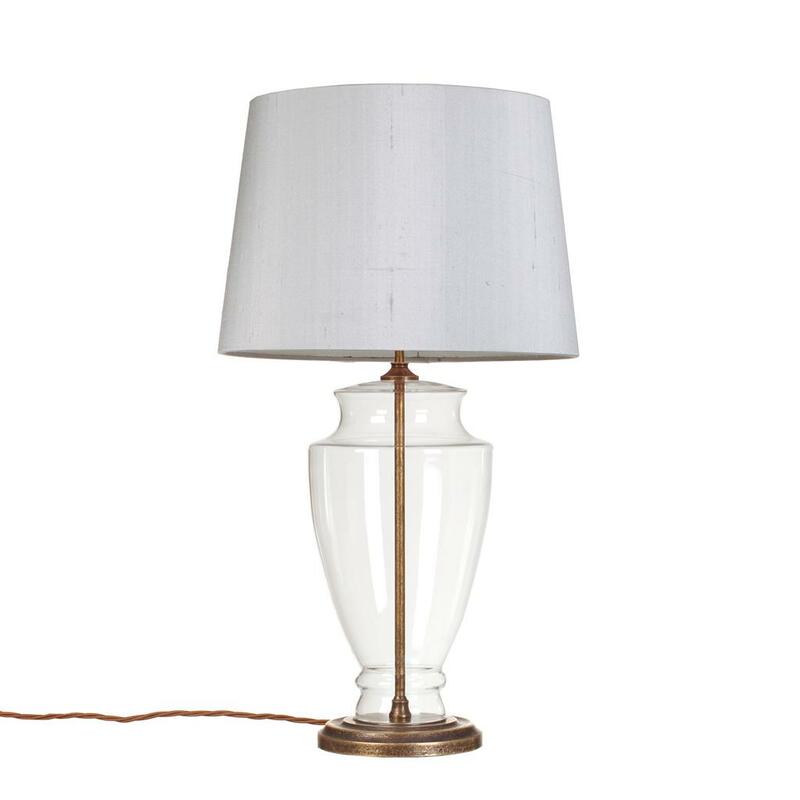 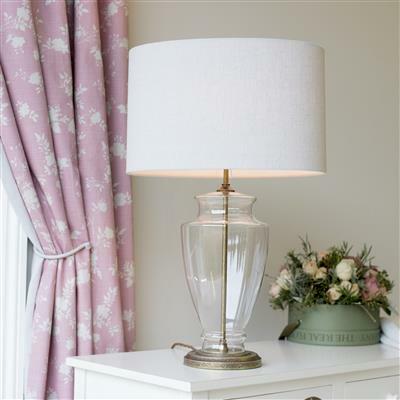 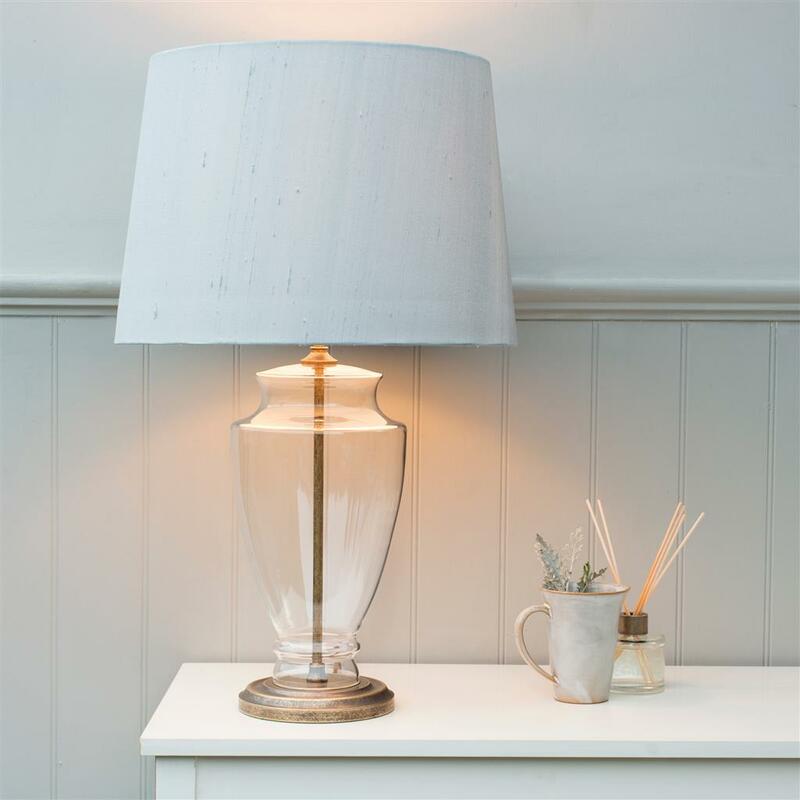 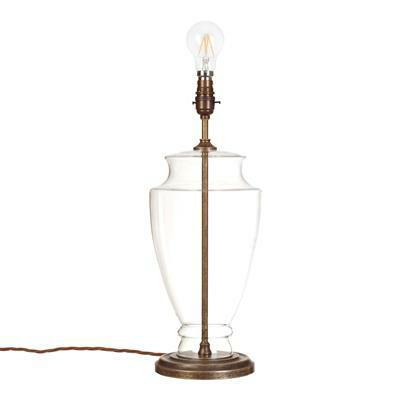 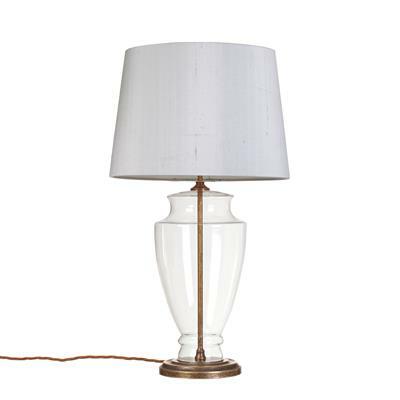 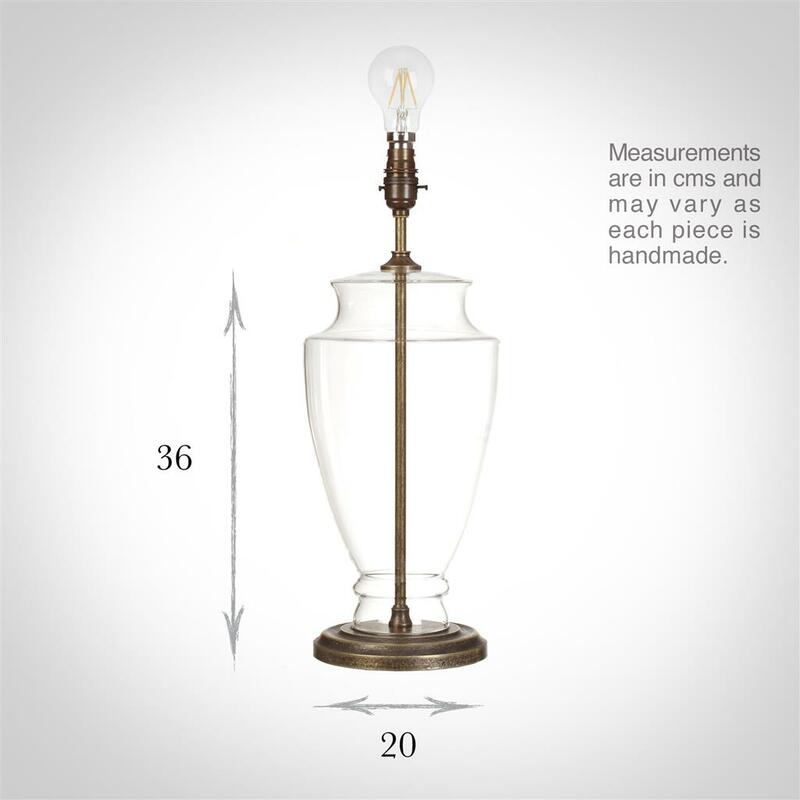 A beautiful table lamp with a classical, urn shaped glass base that is stunning in its simplicity. Combined with the antiqued brass base it will add character and beauty to any interior and particularly lends itself to a period setting. 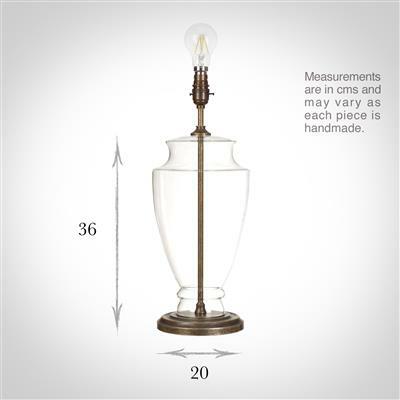 It measures 45.5cm high to the top of the bulb fitting. 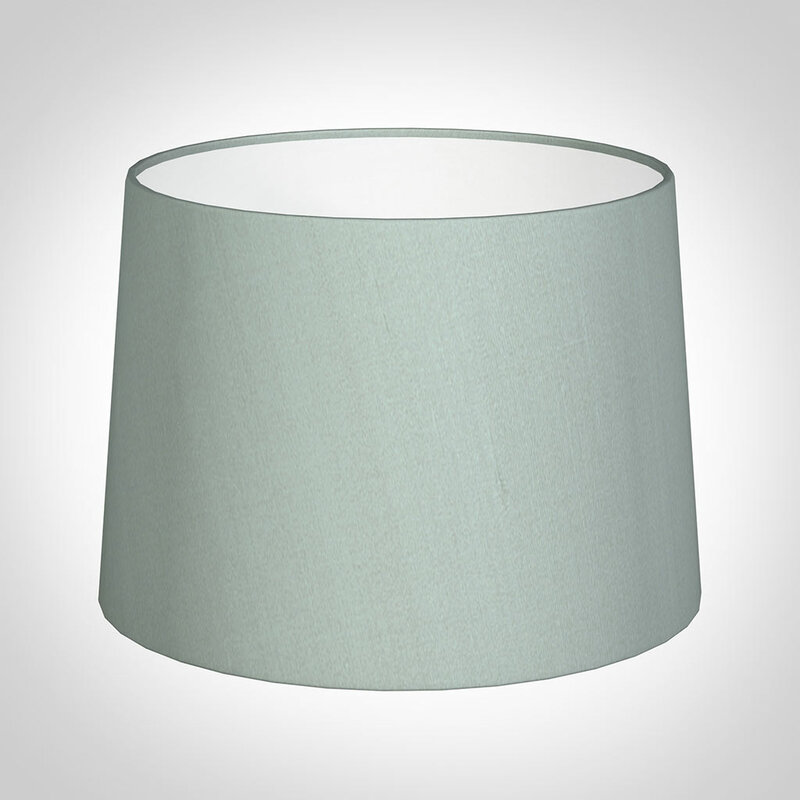 Shade Illustrated: 40cm Medium French Drum Shade in French Grey.